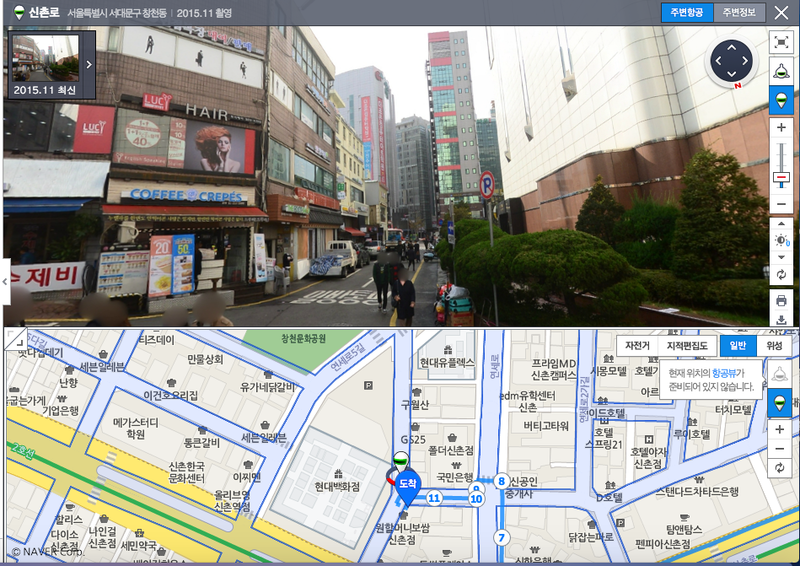 Sinchon is widely regarded as the Mecca of young people. 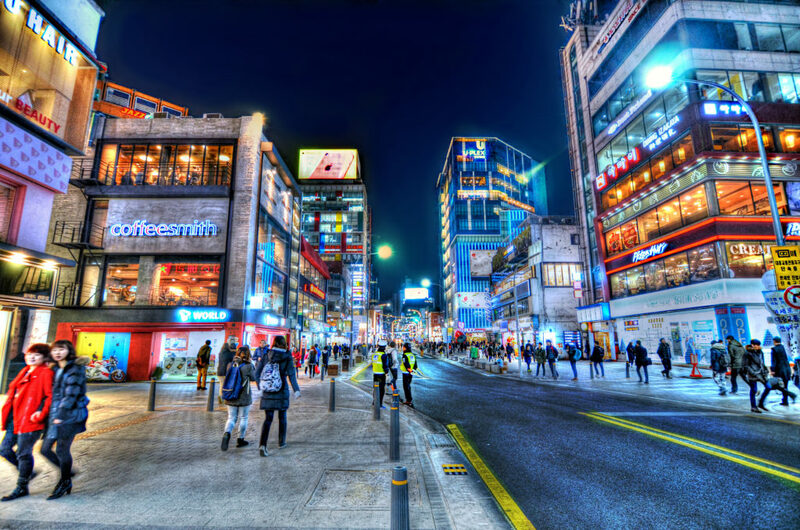 There are lots of great places for good food and shopping. 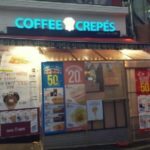 If you come to Sinchon, don’t miss this famous crêpes cafe- Good D.I.D which is nearby the Hyundai Department Store. 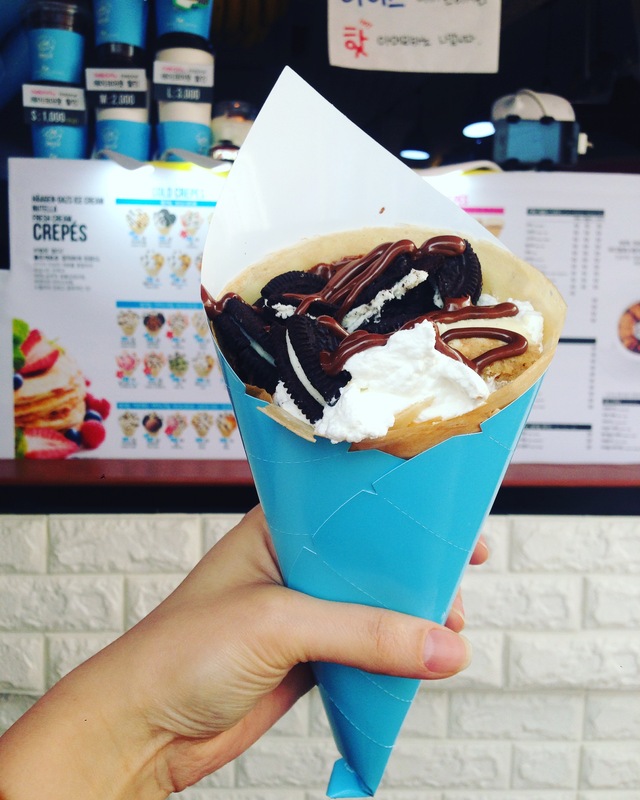 The crêpes are served with a variety of fillings including fruits, cookies, Haagen Dazs ice cream, Nutella and so forth. 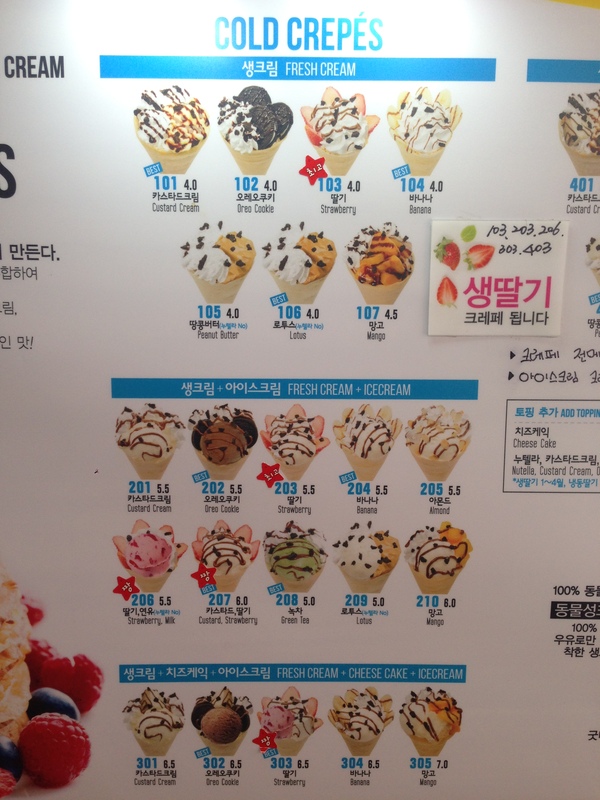 The price is around 4000 won – 7000 won per one. 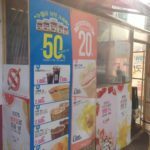 The coffee is inexpensive too. 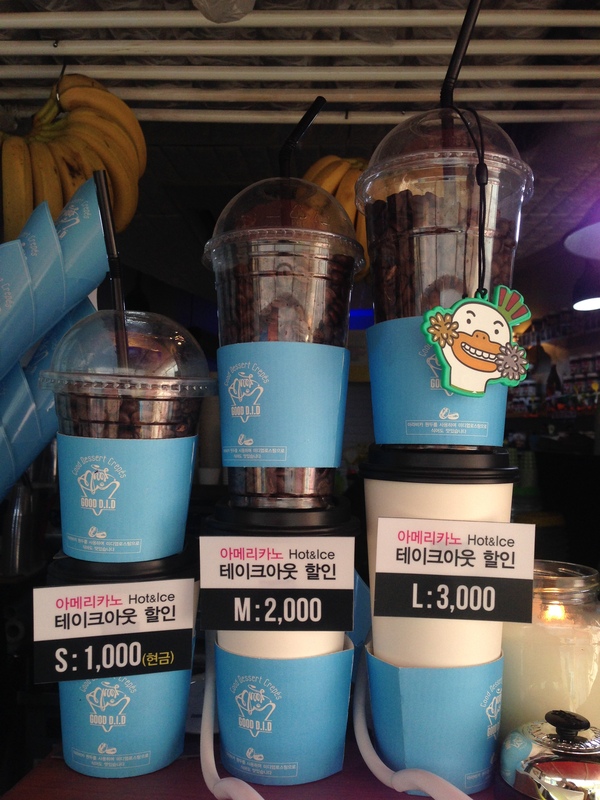 It just costs 1000Won for the small size cup of Americano . 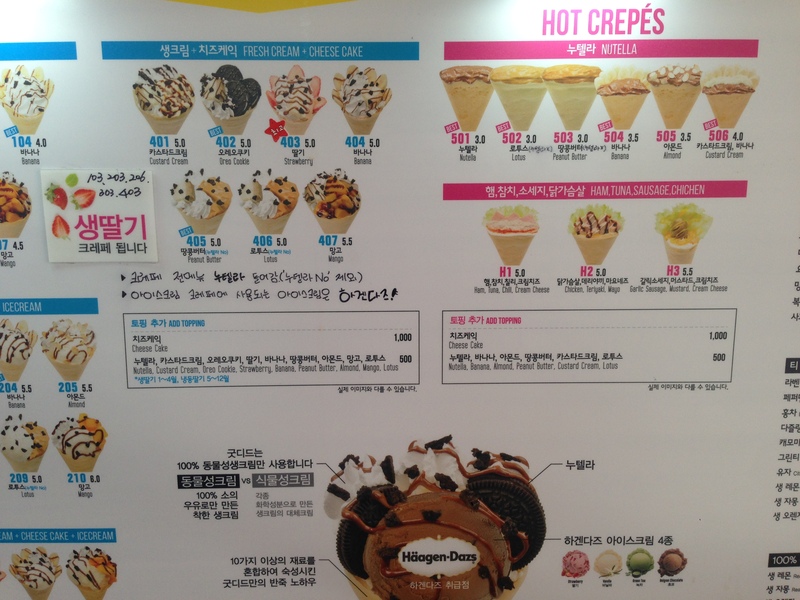 This entry was posted in FOOD and tagged coffee&dessert, crepes, delicious, dessert, Korea, Korea trip, Seoul, Sinchon.